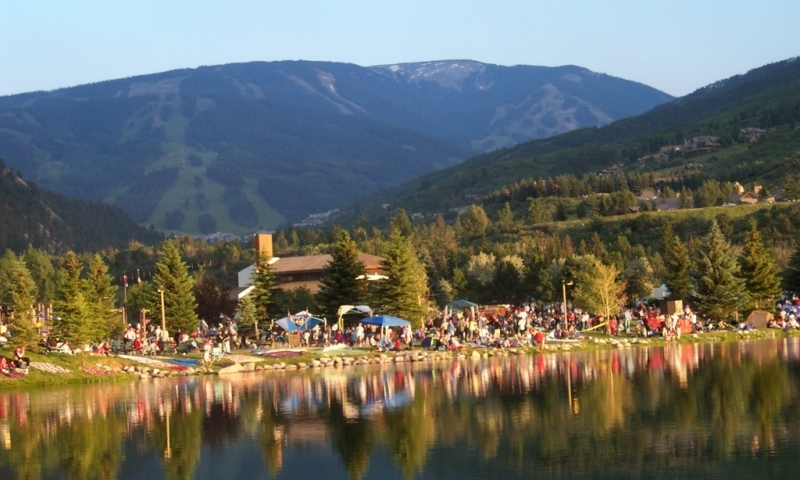 Avon Colorado is located eight miles west of world-famous Vail Colorado and serves as the gateway to Beaver Creek Resort. It is located at the base of the Rocky Mountains nestled along the scenic Eagle River. Delicious organic artisan breads, freshly made to order breakfasts and lunches. Catering and wholesale services also available. Open 7 days a week! At the Avon Rec center you can swim laps, relax in the lazy river or join an exercise class, or use the cardio or weight training equipment. 1 and 3 bedroom condo suites. Each featuring partial kitchen, balcony, wood burning fireplace and cozy living area. Located near the entrance to Beaver Creek. This public course combines a gentle river course and a challenging mountain course to entice players of all abilities. Shop, dine & stay the Lodge at Avon. Shops, offices and 3 restaurants occupy the first 2 floors. Comfortable 1 to 4 bedroom condos occupy floors 3-8. Experience a magnificent chateau-style Vail resort that incorporates the grandeur of its idyllic Colorado Rocky Mountain setting. Beautiful contemporary 1400 sq ft condos and 2300 sq ft penthouses. Featuring daily maid service, fireplace, washer/dryer & continental breakfast. Full service, all-season resort on Beaver Creek mountain. Spacious villas are fully equipped with kitchen, living room, color TV in each bedroom. Some units include whirlpool bath and screened terrace. Custom-appointed with rich pine wood, luxurious linens, and Rock Resort spa bath amenities and new flat screen plasma TVs. Experience total renewal at our Westin Riverfront Resort in Beaver Creek. Proudly serving local organic produce. Vin48 is a local favorite for wine, food and entertainment. The Town of Avon, located in central Colorado, was founded by English immigrants and has developed from a farming area into a resort town. The location makes it ideal for exploring many of Colorado's biggest attractions and has lots of recreation and lodging within town. Avon lies 8 miles west of Vail along Interstate 70, Exit 167. Avon, Colorado is a picturesque town with a wonderful family community that was founded by early English immigrants and is said to have been named because it reminded the settlers of the Avon River Valley in England, birthplace of William Shakespeare. Avon is located in Colorado just eight miles west of Vail. It is the gateway to the Beaver Creek Resort which lies about two miles south. An Avon CO lodging experience can range from luxurious hotels to affordable Inns. A good selection of shops and restaurants are available in town. The strong sense of community and family friendly atmosphere make it great place to stay. Activities range from skiing, snowboarding, ice skating, pond hockey in the winter months to hiking, biking, fishing or hanging out in the park in the summer. Avon is located conveniently near some of Colorado's biggest attractions like Beaver Creek Ski Resort, the bustling town of Vail and the majestic Rocky Mountains. The fascinating history of the area is also a big attraction to history buffs and many other mountain communities such as Aspen and Glenwood Springs are nearby. Avon is centrally located in Colorado's Rocky Mountains along Interstate 70 at Exit 167. The drive down the Interstate passes some beautiful views of Colorado. Town of Avon parks and recreation centers. Official Website for the Town of Avon.